Ready to take your adventure photography skills to the next level? Join us for an 11-day adventure photography workshop through the mountains of Peru, 6/25/18 – 7/5/18 (11-Days, 10-Nights). 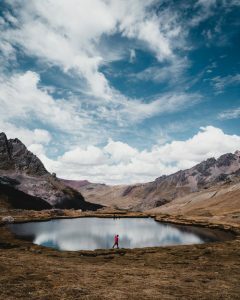 Find endless inspiration in the snow-capped mountains and turquoise lakes, experiencing everything from the colorful Rainbow Mountains to the ancient ruins of Machu Picchu. Hosted by professional photographers Jord Hammond and Phil Nguyen, this photography workshop will provide you with instruction on photography, post-production and social media marketing. Our best Killa Expedition guides will lead the way, so all you have to focus on is learning from the best. Ready to hone your photography skills in Peru? See the itinerary and reserve your spot now! Want to know more about traveling to Peru, altitude and what to pack? Check out this FAQ. Why host this workshop in Peru? Phil: Peru is one of the most unique and interesting countries I have visited in terms of culture and scenery. What really draws me to host a workshop here is the incredible landscape and vast amount of opportunities there are to capture a great photograph. From sand dunes to mountains, to lakes and ancients ruins, you will always go home with a great photo. 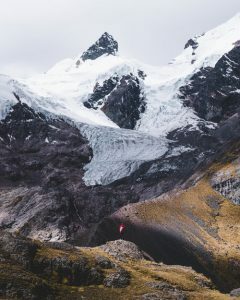 Jord: After spending most of my photography career in Asia, I got the opportunity to visit Peru last year and it completely changed my perspective and mindset on photography. Peru is such a rich country in terms of landscape, culture and people and it is truly fascinating to photograph. It’s also a great place to challenge yourself and develop your photography skills as the landscape is so diverse and often unlike anything you have ever seen before, thus pushing you out of your comfort zone. How did you decide to partner with Killa Expeditions? Phil: I’ve worked with Killa in the past and seeing how they manage and run their company with such grace and professionalism, I knew it was the perfect partnership. Not to mention their charity work and positive impact on the local community in Peru as well. Jord: Phil went on a trip with Killa Expeditions last year, and could not have recommended the company enough. He was taken to some of the most beautiful areas of Peru with Killa, and so I jumped at the opportunity to work with them on this workshop. What about the workshop are you most looking forward to? Phil: Meeting the students and adventuring with like-minded individuals. 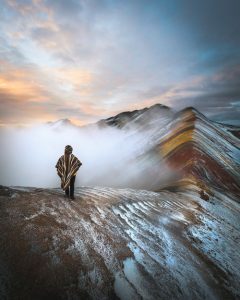 Jord: I can’t wait to explore the Rainbow Mountains as that was one part of Peru which I didn’t get to visit on my last trip. It’ll also be great to meet everyone and learn from each other whilst exploring a beautiful part of the world together. What do you like about teaching photography? Phil: Giving back to the community is something I always strive for. Photography has changed my life so much that the chance to give someone the opportunity for photography to impact someone else is very dear to me. Jord: I couldn’t have got to where I am today in my photography career without the support and encouragement from everyone that follows my work, and so teaching what I have learned over the past two years is, for me, a really important way to show my appreciation and give back to the community. If it wasn’t for photography, who knows where I’d be, so I hope to impart all the knowledge I have acquired to help others to achieve their goals too. Why should people sign up for this workshop in particular? Phil: Peru is a photographer’s dream! This will be a great opportunity to improve your skills in photography while also exploring one of the most beautiful countries in the world! Jord: This photography workshop will be a true adventure, and we will be taking a really hands-on approach to teaching photography as we travel through the country. It’s also a great place to learn about building a personal brand and marketing yourself which, I believe, is often glossed over and forgotten about in photography workshops, but is so important for starting a career in photography, or simply getting your work seen by people if it’s just a hobby.